If you hear ‘New York’ and ‘waterfall’ I bet you think of Niagara Falls. You are right, it’s the greatest waterfall in the world after all. 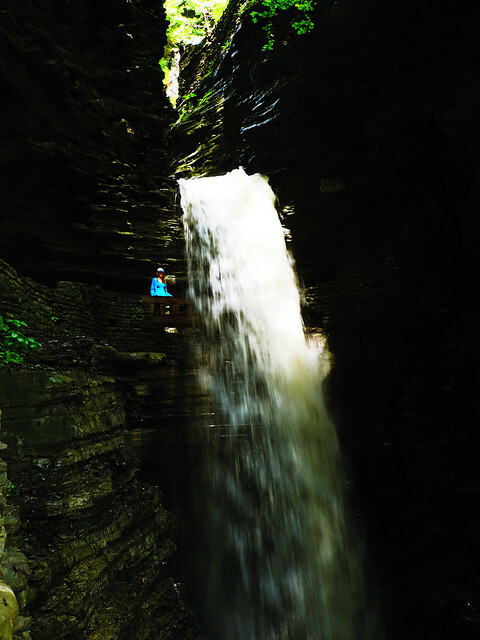 However, Niagara is not the only waterfall worth exploring in New York State. This is one of our favorite state parks in the US and I’ve already written a whole post about it previously – read it here if interested. It has everything to enchant us: trail in a narrow glen along a creek which has 19 waterfalls one after the other and lovely small bridges leading us across the creek several times. 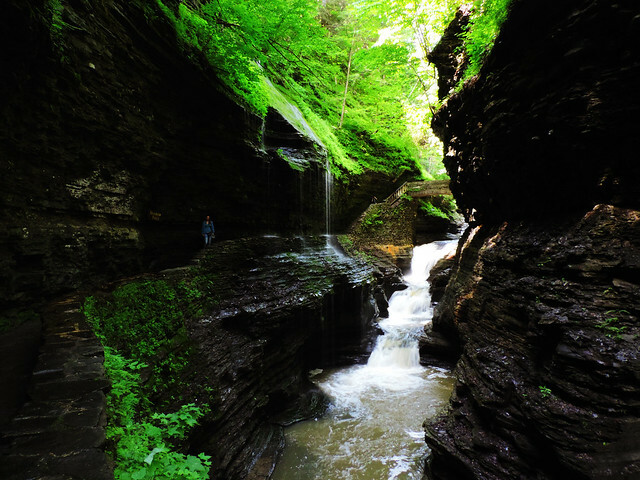 Watkins Glen also has the rare specialty that we could walk behind one of the waterfalls. 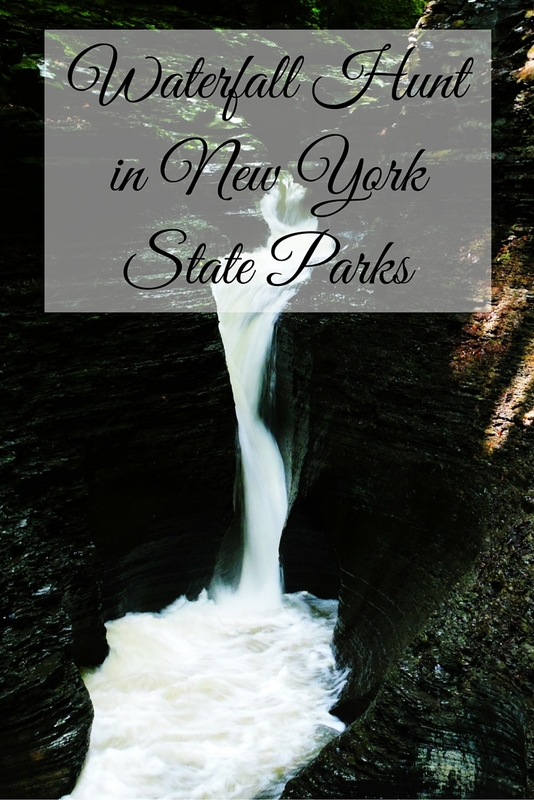 It’s home of three charming waterfalls, a creek at the bottom of a canyon and a pleasant picnic area at Cayuga Lake. 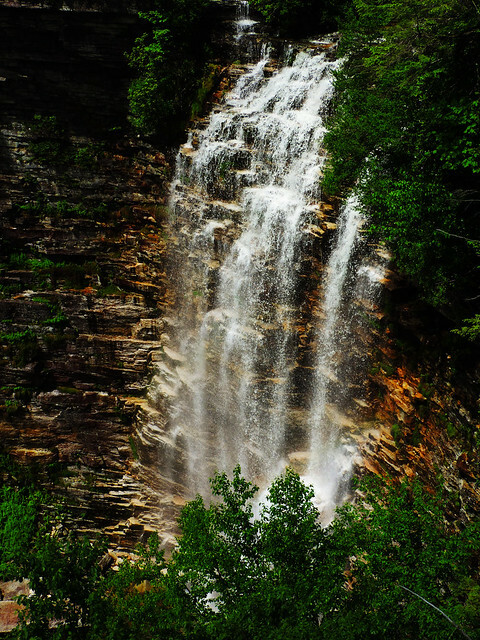 We hiked the South and North Rim Trails which both start at the Lower Falls and end at the Upper Falls (by the way, both of these falls are accessible by car, but what’s the fun then?). 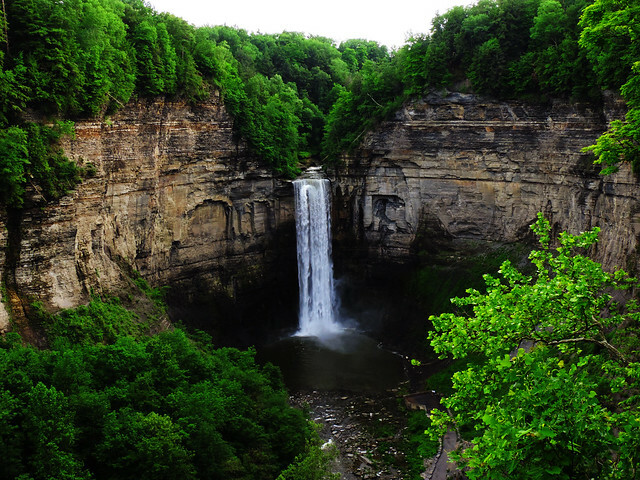 The North Rim Trail also has a perfect view of the tallest of the three waterfalls: Taughannock Falls. 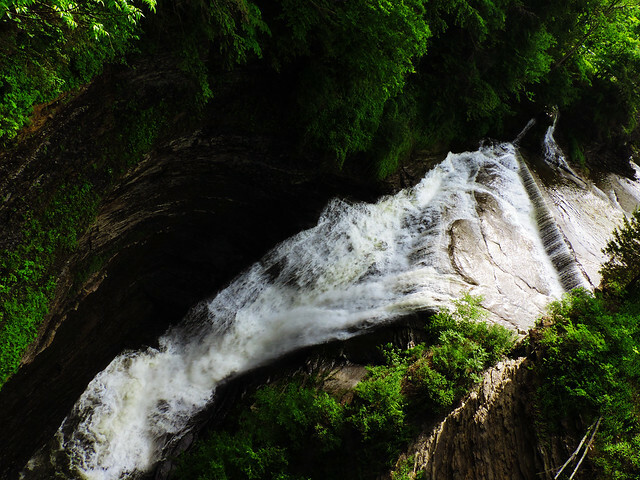 However, to get close to Taughannock Falls, you need to take the Gorge Trail. We didn’t do it because we wanted to see other parks, too, on the same day, but it seemed to be a nice and easy hike along the creek at the bottom of the canyon. We were lazy in this park. We just chilled out for an hour at the perfectly shaped Lower Falls. We also planned to swim at the bottom pool of the waterfall, but two things were missing to do that: a lifeguard (without a presence of a lifeguard, swimming is not allowed here) and a more pleasant water temperature. It was the beginning of June, but it seems more sunny weeks are needed here for the kickoff of the beach season. We did a half day hike in Sam’s Point Preserve which is a smaller part of this park. Verkeerderkill Falls Trail was full of blooming flowers in the beginning of June and we had our well-deserved rest overlooking at a beautiful waterfall. Then on the way back, we took a short detour to rest a bit at Lake Manzanita as well. We have a golden rule for all of our travels and that is: no rush! If we just run through everything and travel in a ‘checklist mode’, it completely loses its purpose. We like taking our time to enjoy the places we visit even if that means fewer places to visit. That’s what happened to us on our New York road trip. 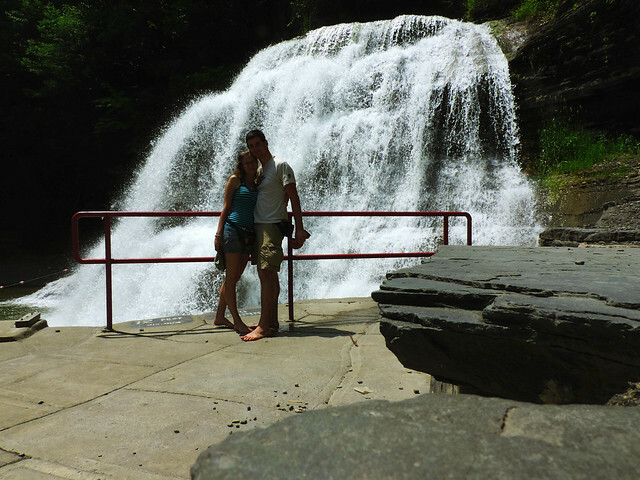 We planned to hike in Letchworth State Park, too, but finally we just didn’t have the time. On one hand, we regret it, on the other hand, if we could go back in time, we would do the whole trip exactly the same as we did. We enjoyed every minute of it and wherever we went we’ve really been there and had a lot of fun. 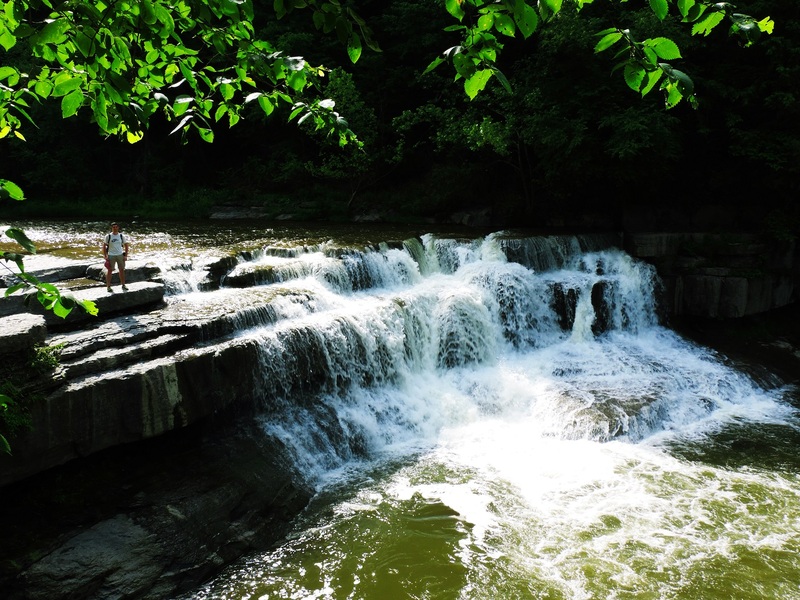 And Letchworth State Park’s beautiful waterfalls are one of the good reasons to revisit New York State later. 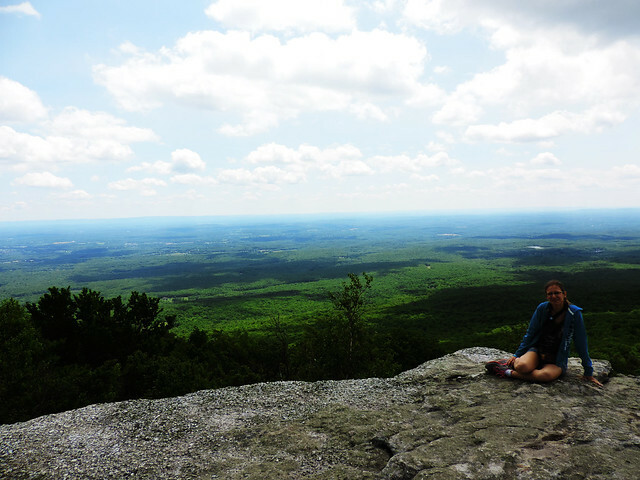 Do you have a favorite US state park? Or a hidden, not so well-known favorite park anywhere else in the world?